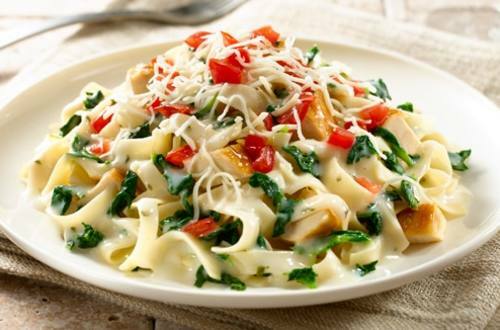 1 PREPARE Knorr® Pasta Sides™ - Butter flavor according to package directions stirring in cream cheese, spinach and chicken during last 2 minutes of cook time. 2 SPRINKLE with cheese and tomato; now it's delicious. Dig in!